The HTC Vive is your gateway to a new reality. Journey to the deepest corners of the galaxy on a starship, explore the alleys of ancient Rome, or shrink yourself down to subatomic size to watch molecules collide. In Vive Reality, anything you can imagine is real. Vive's 360° virtual reality experience redefines the VR world. Now, the experience matches expectation, allowing users to immerse themselves in new environments and feel completely boundless. This boundless philosophy asserts Vive as more than a video game console. It is a platform for content of all kinds and scales. From education to medicine, Vive will re-shape how we interact with our imaginations. Vive delivers on the promise. No excuses. No drawbacks. Just full immersion-bound only by your own imagination. 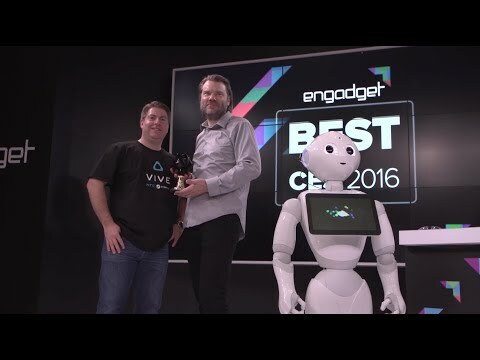 Vive will change how we communicate. How we are entertained. How we learn, train and believe. Stories will become richer. Games more interactive. Surgery more precise. Books more vivid. Vive is a blank canvas with a third dimension. And this is only the beginning. Imagine standing on the bridge of a starship rocketing across the galaxy, strolling through the streets of ancient Rome or shrinking down to subatomic size and watching molecules collide. With Vive, anything is possible. Vive is powered by SteamVR, offering room-scale experiences enabled by 360° motion tracking and the chaperone guidance system. Freely explore and interact with the virtual world. With room-scale VR, you’re at the center of everything. With SteamVR, everything you love about Steam is now also available in virtual reality. Keep tabs on the newest releases, automatically download game updates, and create and share content with millions of your closest friends on Steam. Get the headset, two wireless controllers, and two base stations enabling 360° room-scale motion-tracking when you order your Vive. Be among the first to see, hear and experience worlds beyond imagination. 32 headset sensors for 360° motion tracking. 110° field of view for captivating immersion. Interchangeable foam inserts and nose pads provide customized comfort - fits most glasses. Two handheld controllers each have 24 sensors for accurate motion tracking. Two base stations deliver 360° motion tracking for superior VR experiences. HTC Vive Virtual Reality Headset, with 2 Wireless Controllers + Movement Sensors is rated 4.8 out of 5 by 71. Rated 1 out of 5 by SimonEleventieNine from I get now why VR didnt go mainstream yet. The screen door was so terrible, the controllers so unwieldy I took it back. Then read up on Google about HTC terrible customer service and factor in. Don't ever sweat into the device, I know humans sweat but HTC didnt think they would and it breaks your head set. There is a known design fault with the controllers, it 'will' fail at some point not may fail on the track pad at some point. Speaking of track pads mine were forever just scrolling for no reason, the handsets are just bad. Stay away from anything HTC and VR the build quality, customer service are not on par with the price, and to argue otherwise your going to be a VR fanboy who just wants VR to be popular and accepts low quality for their money. Wait for Gen 2 VR headsets, that are literally due this year and stay away from HTC products. Rated 5 out of 5 by corman from Great experience - I've used this Headsets for a short while, my conclusion is this: Pro: Great experience overall, it's nothing like playing on a pc/ playstation, etc. It really takes you on another reality, if it wasn't for the safety grid, often times i would've bumped my head into the walls. Cons: cable management is pretty hars, Quite expensive, the image quality has a lot of room for improvement, you can see the pixels, but the virtual reality experience will make you forget about that, once you start enjoying it. Also, i, personally suffered from motion sickness, probably that depends on the games that you're playing. (Skying, falling, flying) If you have the money and the time, definitely is worth it. But it's a lot more fun if you would have at least another friend to play with online. Rated 5 out of 5 by McFilthy from Very Entertaining Overall a great product, only the price is slightly over the top. Despite the price, I wouldn't hesitate to recommend. Rated 5 out of 5 by CodeMonkey from WOW! I was a little hesitant about spending this much money on a VR rig; but as I had just purchased an amazing 3XS laptop with VR capability, I took the plunge. I must admit to doing quite a bit of online research before deciding that the VIVE was the best system currently on sale. What can I say? I'm hooked! Such an overwhelming immersive experience... If you can afford it and you want to experience the best home VR... go for it! Rated 5 out of 5 by Alex92 from Young tech but a great experience. 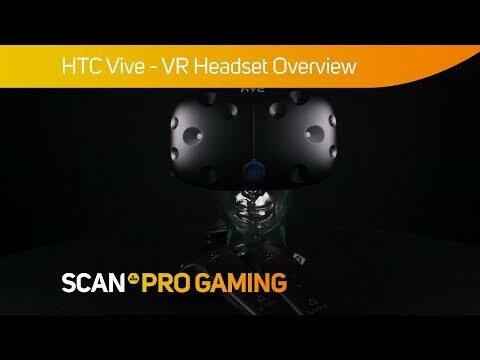 Now if you are planning to pull the trigger I would hold off since the new Vive Pro is on the horizon which will have a much better resolution. The Vive makes simple games very interesting and fun. So a simple zombie shooter gets a whole new breath of fresh air. The tracking tech is amazing I have low cellings and big light shades that in most instances would effect tracking but it some how works very well rarely losing track of the HMD or Vive Wands. All in all very happy with this producy and looking forward to new games, experiences and tech. I recently read that the Vive could be connected to a display port out as well as HDMI. Is this purely by use of an adapter or does the Vive come with both a HDMI and display port connector? HDMI only. The Vive comes with a small box with it's own power outlet that connects USB, Audio and HDMI in. would it work in a room about 6ft by 14ft? Is my GPU ok or do I need to upgrade? I have a XFX R7870 black edition GPU, is this good enough to run VR or do I need to upgrade it? Many thanks. I would say that there's no way that'll be capable. It's a card that's several generations old now and it wasn't even top-spec at the time. However, to be certain, download and run the Steam VR Performance Test and it'll let you know where you stand. http://store.steampowered.com/app/323910/SteamVR_Performance_Test/ If the rest of your computer is up to scratch and you can afford to buy the Vive, I'd definitely suggest you get yourself a more modern and much more powerful GPU first. would i be able to use camera tripods as stands for the sensors? Yes, does come with 2 wall mounted brackets for the room sensors. Can be wall or ceiling mounted.